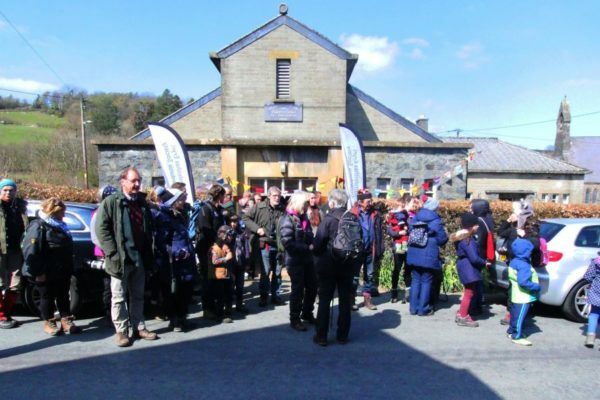 The Snowdonia Society is a registered charity working to protect, enhance, and celebrate Snowdonia National Park. The post is based at our office at Caban, Brynrefail, near Llanberis. Many but by no means all of the outdoor work days for this post take place at Tŷ Hyll near Capel Curig. 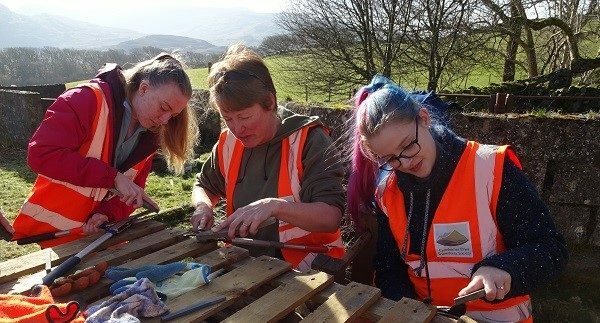 Thanks to funding from Natural Resources Wales, we have expanded our volunteer project, the Snowdonia Ecosystem Project, to include our flagship property, Tŷ Hyll. developing and delivering practical volunteering, education, and engagement activities including wildlife gardening and woodland management at Tŷ Hyll. developing training opportunities, particularly in collaboration with the Society’s partners. periodically attending events elsewhere in North Wales to raise the profile of the work of the Society. recruiting new members and volunteers, and developing sustainable volunteering and fundraising capacity at Tŷ Hyll. The Tŷ Hyll Project Officer works closely with the Snowdonia Project Officer, the Project Manager, and the Trustee responsible for Tŷ Hyll and reports directly to the Project Manager. The post holder takes day-to-day responsibility for coordinating and leading events at Tŷ Hyll. This is a part-time post of 15 hours a week. To deliver a varied programme of activities flexibility in working days is essential, to include some weekend days and evenings. Work with the Project Manager to develop an inspiring programme of activities for both volunteers and the public. Lead practical volunteer tasks, including for example woodland workdays, invasive species control days and wetland management days at Tŷ Hyll and elsewhere in and around Snowdonia. Actively recruit and support volunteers, responding to enquiries and providing information. Actively promote awareness and membership of the Society through the project activities. Work to make elements of the project sustainable beyond the funding period. Take responsibility for publicity and administration for all events, including advertising, bookings, translations, correspondence, Health and Safety records, and risk assessments. Provide written and photographic reports on activities for the project records, the Society’s website, magazine, and social media. Liaise with partners to ensure smooth running of workdays and events. Maintain and update the volunteer database and supply up-to-date information for the Society’s member database. The successful candidate will be a practical, outgoing person with creative ideas and the ability to inspire volunteers and the public. countryside management/ nature conservation/ woodland management. You will be self-motivated and problem solving, have excellent communication skills and be able to motivate diverse groups of people to achieve the task aims while ensuring that volunteering is a rewarding experience for all. This role will require you to communicate effectively with society members, volunteers, partner organisations and the public in both Welsh and English. You will be competent and confident in the use of IT. Current driving licence, and own vehicle with business insurance are essential as some work will take place across Snowdonia and materials/hand tools will need to be transported to the work site. Out-of-office mileage is reimbursed. For an informal discussion about the post telephone Mary-Kate Jones on 01286 685498. Our standard application form can be found at http://www.snowdonia-society.org.uk/wp-content/uploads/2016/05/Standard-Job-Application-Form.doc or alternatively contact the office on 01286 685498. Please return the form by email to mary-kate@snowdonia-society.org.uk, or by post to Mary-Kate Jones, Snowdonia Society, Caban, Brynrefail, Gwynedd, LL55 3NR.